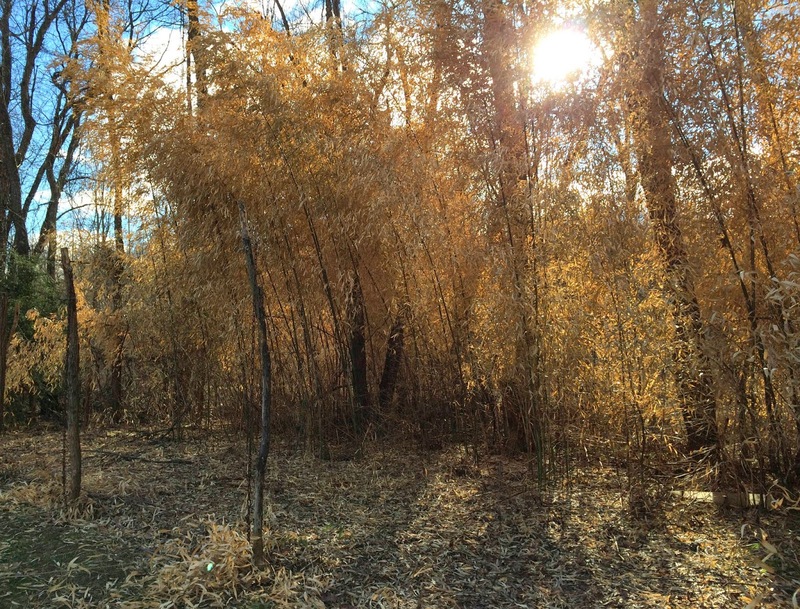 Once bamboo shoots stop their skyward ascent, the walls of the canes begin to thicken. 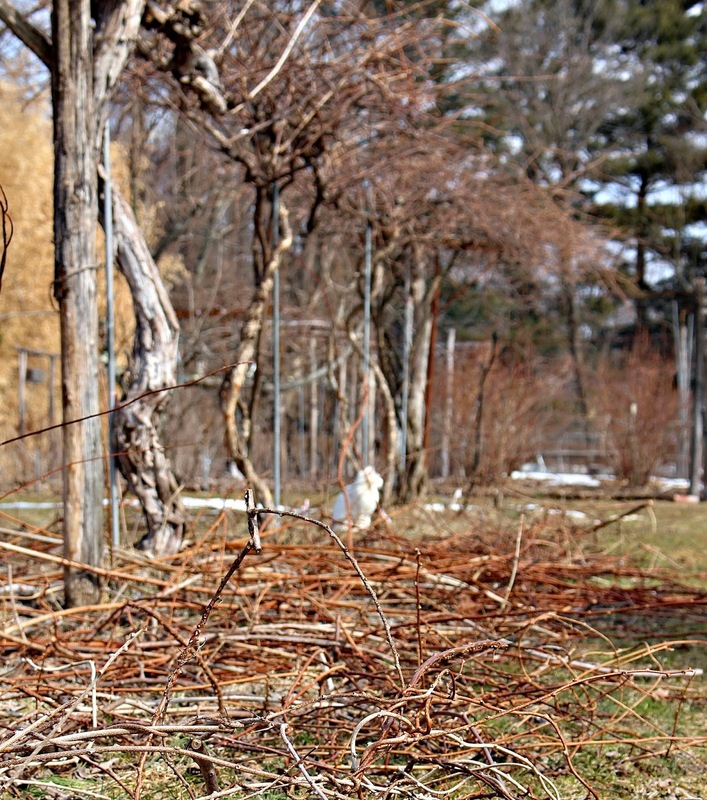 Canes that survive winter with green leaves intact don’t grow any taller in subsequent years. Cane diameters remain constant as they thicken within, in so doing becoming more useful for stakes, fencing, gates, and structures in the garden and beyond. Eventually, whether winter temperatures are frigid or mild, a cane dies. Dead canes, weather from age or from winter cold, eventually need to be removed to keep a grove looking spry. For my planting, I decided on the dramatic approach, cutting virtually the whole planting to the ground. I used a lopper, attacking canes one at a time, then a machete to remove side shoots with leaves from canes worth saving -- not an easy job but one that yielded an abundance of useful canes. Now, what to do with my stockpile? 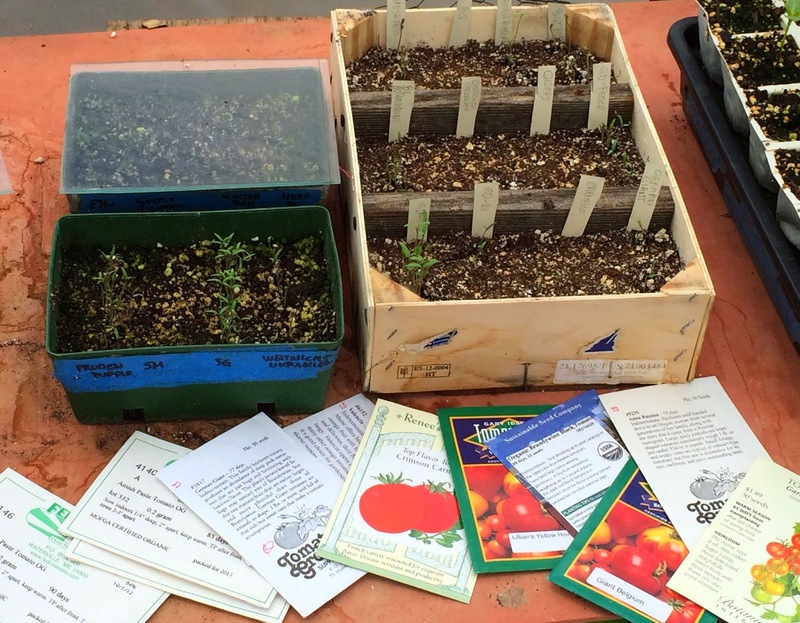 As winter freezes have segued into capricious spring frosts, seedlings need to be readied for the great outdoors. In a greenhouse, on a windowsill, or beneath fluorescent lights, these plants lead a coddled life. Outside, life is tougher: temperatures swing 50 degrees in a 24 hour period, winds whip tender leaves, and intense sunlight beats down. What these plants need is a couple of weeks of acclimatization -- “hardening off.” Not too quickly and not too severely, though, or leaves could burn or flowers could appear prematurely; a plant could even die from shock. The thing to do is to find some cozy spot outdoors for the transplants, a spot that is sheltered from wind and receives sun for only part of the day, or else dappled sun all day. After about a week, the plants are ready to me moved to a more exposed location, one that just takes the edge off gusty winds and broiling sun. A week at this second location and plants are ready to be planted out in their permanent homes. The kinds of changes that hardening off induces in coddled seedlings depends on the nature of the seedlings themselves. 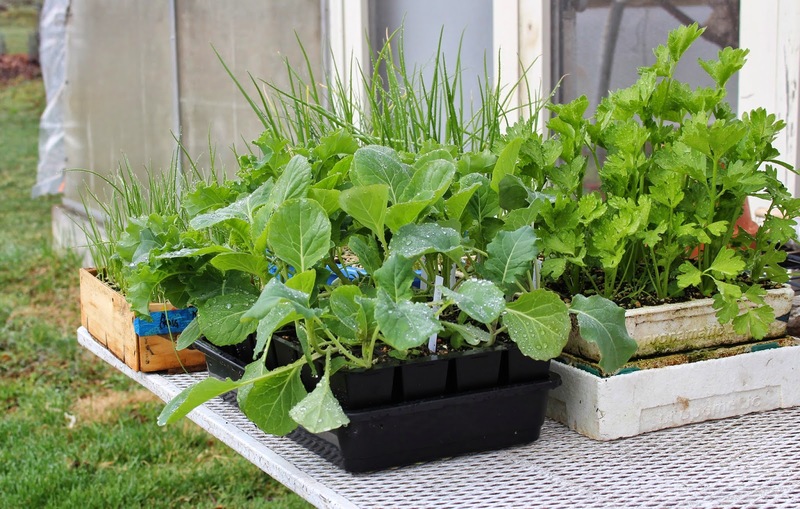 Seedlings of cabbage, lettuce, snapdragons, pansies, and other plants that can eventually laugh off cold even below freezing develop a tolerance for cold by building up sugars in their cells. Gradual exposure to more intense light also thickens cell walls, fibers, and cuticles on both existing and new leaves. With increasing light exposure, chloroplasts, the green, light-trapping energy factories in leaves, move around and align themselves in such a way that the leaves turn darker green. And the leaves’ stomatal pores, through which water is lost and carbon dioxide and oxygen are exchanged, become more quickly able to open and close in response to changing conditions. Cold-tender plants such as tomatoes, marigolds, and zinnias suffer at temperatures even above freezing. With these plants, chilling injury causes changes in plant membranes that interfere with photosynthesis and damaging toxins build up in leaves. Hardening off makes these plants better able to repair and prevent such damage. But temperatures that still drop below freezing mean that it’s still too early to begin hardening off cold-tender plants. Anyway, they’re still too small. Wait a month. During the two weeks of hardening off any plant, growth slows and the plant becomes stockier. This is good; it indicates that a transplant is ready to face the world. Pest problems, due mostly to having a poor site and living east of the Rocky Mountains, have made me give up on growing apples -- almost. Last year’s cicadas and this winter’s deer took their toll also. One problem, I realized, is that my trees are super-efficient, super-dwarfs that I made by grafting chosen varieties on special rootstocks. The problem is that super-efficient, super-dwarfs are also super-finicky about growing conditions. So I decided, instead, to try semi-dwarf trees that would be more tolerant of a less than perfect environment. Long story short: I’m going to replant with five varieties of great-tasting apples -- Macoun, Pitmaston Pineapple, Hudson’s Golden Gem, Ashmead’s Kernel, and Liberty -- on G.30 rootstock. 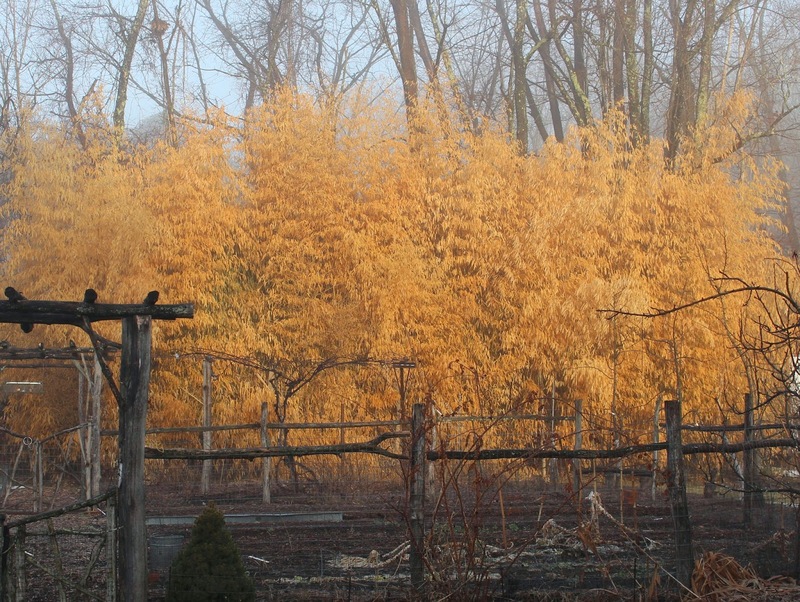 Unfortunately, such trees are not available anywhere, not even from Cummins Nursery (http://cumminsnursery.com), which specializes in high quality trees of a range of varieties on a range of rootstocks. They do have those varieties (on other rootstocks), though, and they do have G.30 rootstocks, which I bought and received last week. And so I set about making new trees, by grafting. 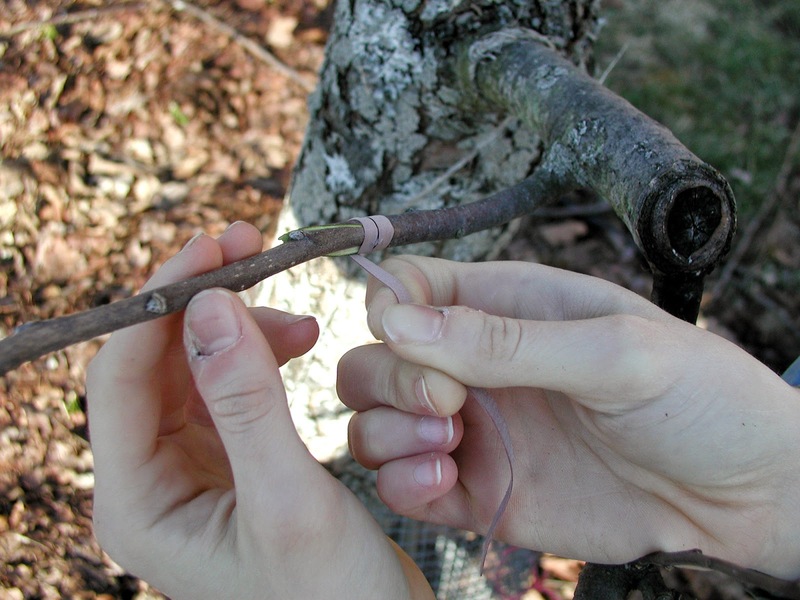 The graft of choice was a whip graft, an easy graft to make, especially with apple. Grafts done this time of year are called “bench grafts” because they can be done at a bench or table, indoors, at a time when it’s still too early to plant outdoors. As is usual with bench grafts, my rootstocks were bare-root, nothing more than a 18-inch-long, pencil-thick stems with some roots at their bottom ends. Perfect. Now for the grafts. Step one was to cut through near the top of the rootstock and near the bottom of the scion with a smooth, sloping cut. Step two was to match the cut faces of the two sloping cuts. Step three was to bind them together; I used grafting rubbers but cut rubber bands work equally well. Step four was to prevent moisture loss from the graft. 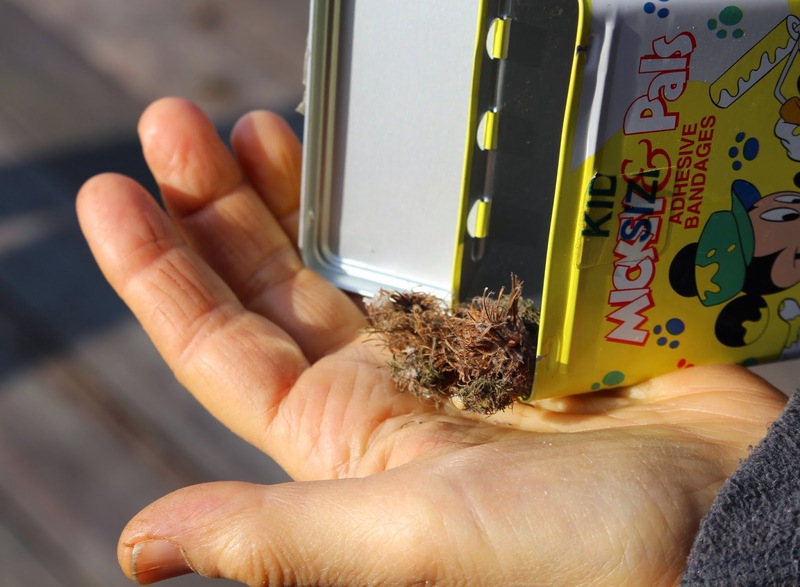 I covered the graft with either Tree-Kote or Parafilm, the latter a stretchy, waxy material. Step five is aftercare. The completed grafts could be kept in cold storage until ready to plant out. Even better is to expose the graft to warm temperatures for a week or two to promote callousing, which is a proliferation of undifferentiated cells that mark the first step in joining of stock and scion tissue. I potted my grafts up and put them in the greenhouse for good callousing and to spur the beginnings of new root growth from rootstocks. Whip grafting is easy; still, certain requirements must be met for success. 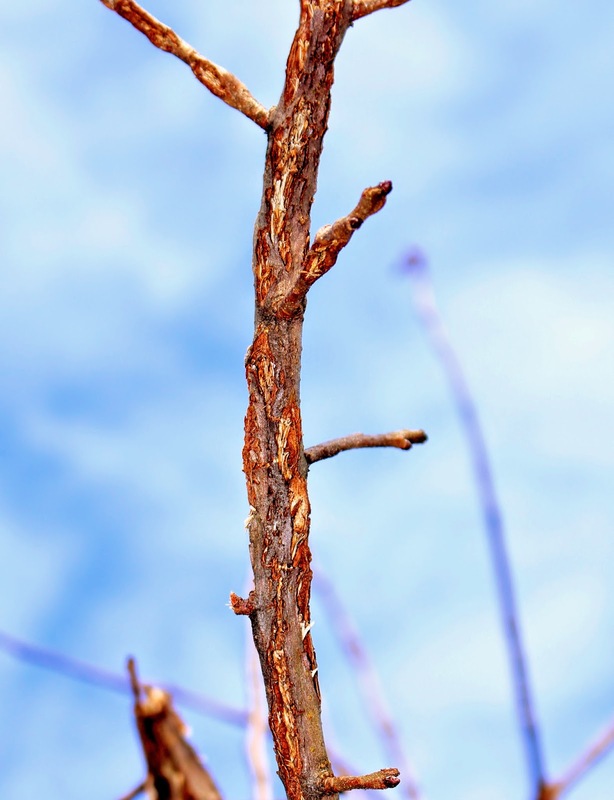 The rootstock and especially the scion (the stem of the variety for grafting) must still be in their winter sleep, or nearly so. Check. The rootstock and the scion must be sufficiently close botanical kin. Check; G.30 and the various scion varieties are the same species. The cambia, the layer just beneath the bark, of stock and scion must be touching or at least close. Check; I accounted for different diameters of rootstock and scion stems by lining up one side of their sloping cuts. The grafts will need to be nursed along this year. With good growing conditions, they’ll be ready for planting out next spring. With luck, a sufficiently green thumb, good weather, and three clicks together of the heels of my red slippers, I’ll be biting into a Macoun apple here in four years. I realize today that it’s as much fun to sample varieties of tomatoes as it is pleasurable to eat homegrown tomatoes. That’s one rationale, at least, for my sowing seed of 21 varieties for planting this season. Why so many, when probably growing 5 varieties would satisfy all my Lycopersicum esculentum needs? That would be Sungold for the best cherry tomato, San Marzano for the best -- or one of the best -- canning tomatoes, Amish Paste and Anna Russian as excellent eating and canning tomatoes, Belgian Giant for its unique, delectable flavor, and Carmello for good flavor and earliness from a full-size, smooth and almost perfectly round tomato. Okay, 6 varieties. After last summer’s tomato taste-off, I could not help but also grow Lillian’s Golden, the winner. And Blue Beech, which, besides good eating, makes a uniquely flavored sauce. Brandywine is a top contender in any best tomato taste-off, so I’m trying Black Brandywine. Perhaps its my imagination, but “black” tomatoes all seem to have a rich, tangy flavor. That’s why I also sowed seeds of Cherokee Purple. German Giant and Paul Robeson got good reviews. Valencia is a pretty and flavorful orange tomato. Nepal is very good. I’m generally averse to planting any new varieties of cherry tomato because Sungold is so far ahead of the pack. (One year I tried 20 new cherry tomato varieties; 18 weren’t worth eating.) Still, the mother of a reader of this column insisted that she grows a very productive cherry tomato with a delectable flavor; I’m trying it, merely labeling it “Cherry Tomato.” I’m also growing Gardener’s Delight cherry tomato, a variety I grew and enjoyed decades ago, and which disappointed me last year. This year’s Gardener’s Delight, from a different source, might taste different. I’m also growing Ping Pong cherry tomato, which I enjoyed -- but can’t remember why -- when visiting Hudson Valley Seed Library (http://www.seedlibrary.org) last summer. I also can’t remember why I ordered seed of Weisnicht’s Ukrainian tomato, but I’m growing it. April 26th, 2014: “Pruning Nuts”, New York Nut Growers Association spring meeting at the Cornell University Cooperative Extension of Suffolk County, 423 Griffing Avenue, Riverhead, NY, on Saturday, April 26, 2014 from 9:30 until 3:00, http://www.nynga.org. 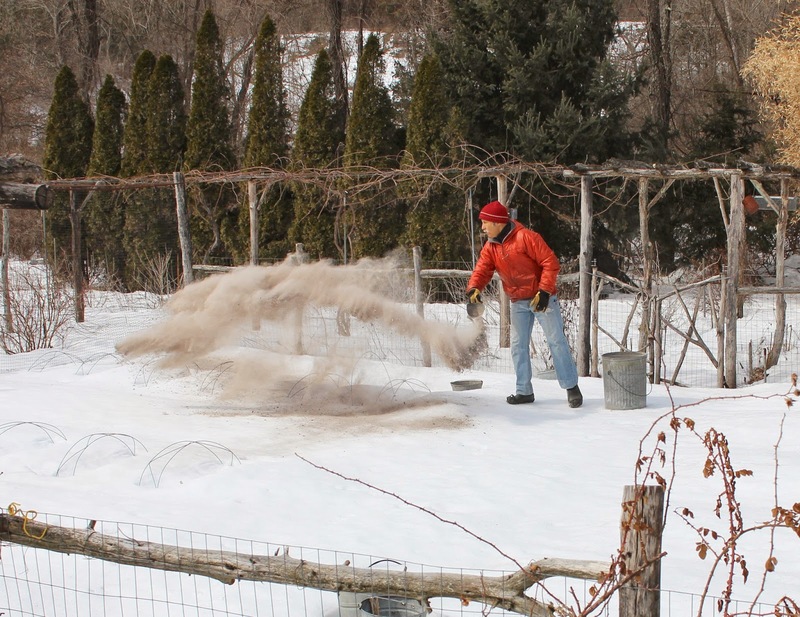 April 27th, 2014: 2-5:30, "Pruning workshop" with Lee Reich, at my farmden in New Paltz, NY. Contact me for more information. This hands-on (my hands) workshop will cover: The best time to prune; the “tools of the trade”; Plant response to various kinds of pruning cuts; pruning demonstrations. Contact me for registration and more information. 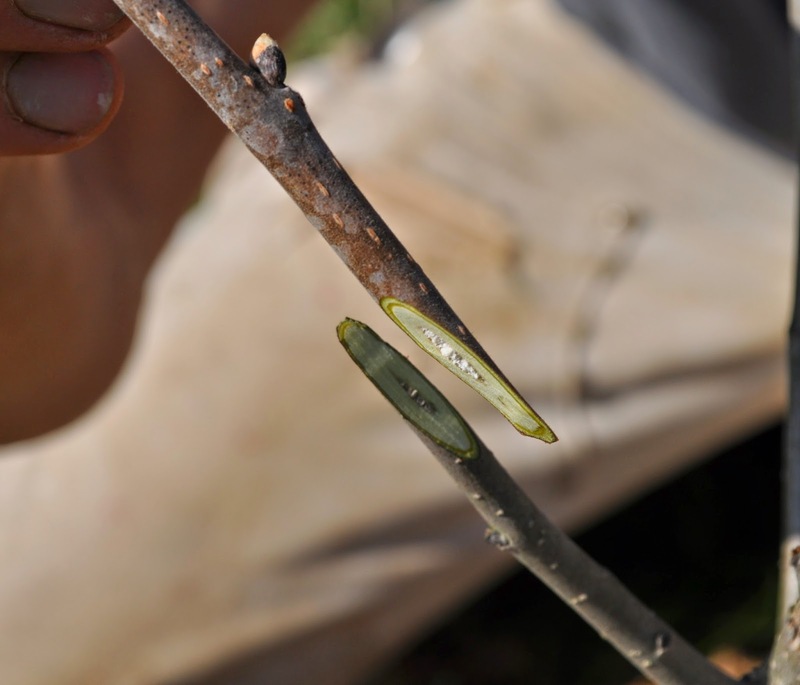 May 3rd, 2014: 2-5:30, Make your own trees at the "Grafting workshop, at my New Paltz, NY farmden. The how, why, and when of grafting; demonstration of 2 easy kinds of grafts; and then make your own pear tree to take home. Contact me for registration and more information. And now, on to the post . . .
Are the 6,000 acres of forest preserve behind my farmden mocking me? Almost every day, weather permitting, I grab pruning shears, a lopper, and a pruning saw, and head outdoors to snip, lop, or saw at least some stems or limbs from my trees, shrubs, and vines. Up there in the forest, no one is doing any pruning yet everything seems copacetic. Let the forest laugh. My efforts here aren’t for naught. If a large limb crashes down from a forest tree, the forest as a whole is none the worse for wear. If a limb cracks off the honeylocust that is supposed to shade my deck . . . well, that’s not good for the deck, for the health of the tree, or for the desired shade. Similarly, a forest doesn’t feel the loss of one tree to pests or diseases. Not so for the stately crabapple gracing a front lawn. So I prune to help keep my trees healthy. A tree with good form is stronger, less likely to lose a limb. And if a limb does surrender to the weight of snow, a crisp pruning cut of the frayed stub leads to quick healing of the wound. 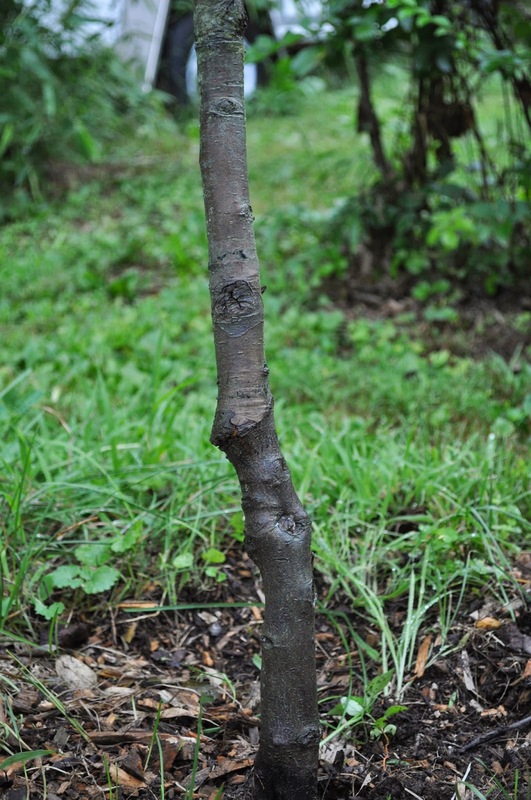 I prune off any tarry, black growths on my plum trees so that they can’t further the spread of black knot disease. I prune my kiwi and grape vines so that each remaining stem can bathe in the sunlight and air that is inimical to the spread of fungal diseases. As gardeners, farmdeners, and farmers, we demand more from our plants in terms of flowers, fruit, and/or form that a forest does from its individual trees. 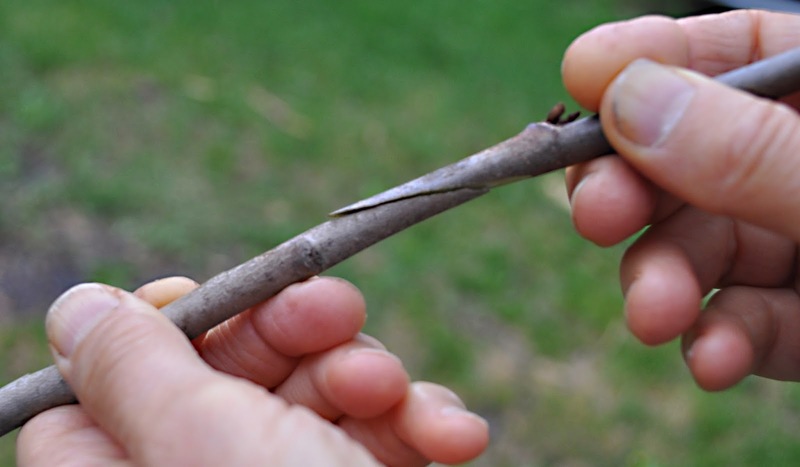 Pruning, in removing some potential buds, directs a plant’s energy into fewer buds, making for more spectacular blossoms and more luscious fruits. I prune also because it’s fun. Gardening is more than just good food, pretty plants, and a chance to “work” outside with the sun warming my back. It’s also, for me at least, about watching plants respond to my ministrations, rewarding me if the response is positive, and providing a learning experience if the response is negative. Last year’s invasion of cicadas has thrown a monkey wrench into my usual pruning. Cicadas didn’t feed on stems, but use them as a nursery in which to lay eggs. Ms. Cicada prefers 1/3-1/2” inch thick stems which is, unfortunately, the thickness of many stems on my fruit trees, most of which show at least some damage. The slits weaken the stems so they are more likely to break off and have less energy for new growth so can support less fruit, physically and physiologically. Mostly, I’m going to wait to prune these plants to see what they have planned in terms of flowers. If they flower heavily, which is doubtful, I’ll shorten stems enough so that they don’t break under their weight of fruit. I’ll also reduce the number of fruits to the number I estimate the weakened plants can support. I’ll go ahead more or less with my normal pruning on stems or trees that don’t flower. Probably a little less severely than usual so that the plants can put all their energy into growing as much as possible to build up their energy reserves. In either case, good soil enriched with plenty of compost, mulching, and timely watering will provide good growing conditions to put injured plants on the road to recovery. What of the future? Those slitted stems no longer house eggs. The eggs hatched last summer a month and a half after being laid, and then, the nymphs dropped to the ground. After burrowing in the soil, the next 16 years will be spent growing and feeding on roots. Roots! My poor trees. Perhaps I should have cut off all the slitted stems last year and burned them before the eggs hatched. But that would have severely debilitated the plants. Oh well, nothing’s to be done except give the plants good growing conditions and hope for the best. As always, Mother Nature has the upper hand. A lot of gardeners sow their tomato seeds too early and the result is spindly plants. The time to sow the seeds is about 6 weeks before the average date of the last killing frost, which, around here, is April 1st. No joke. You know what? I’m not going to bother with the seeds. Sweet fern is easily propagated from rhizome (root-like subterranean stem) cuttings -- as long as I can find someone with sweet fern who will let me take a few cuttings. All that’s needed is to dig up some of the shallow, horizontal rhizomes, cut them into 2 to 4 inch lengths (the longer pieces for the thinner rhizomes), and set them 1/2” deep in a mix of equal parts peat and sand or peat and perlite or just vermiculite. New roots and shoots will develop and, this summer I could imagine that I am again walking along again in my white T-shirt with a pack on my back, canteen at my side, and Ked’s sneakers on my feet, wafting in that delicious aroma from along a sun-parched road. Much, much easier to grow from seeds than sweet ferns are peas. If I can only get out in the garden to plant them! 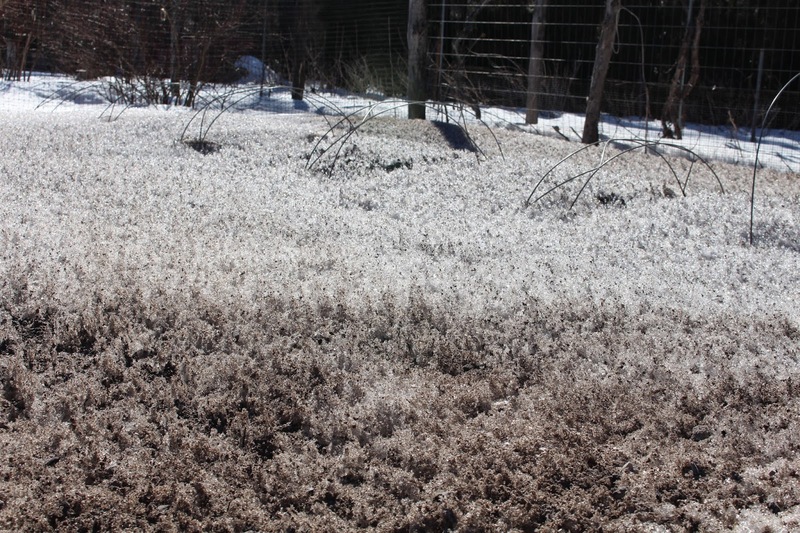 The time to sow peas around here is April 1st but -- as I write this on March 19th -- night temperatures are in the ‘teens and the garden sleeps beneath a blanket of snow. (Update: The snow, since I initially wrote the above, has thoroughly melted except in a few shaded areas. Nothing like a few 50 degree days to make spring's presence finally known.